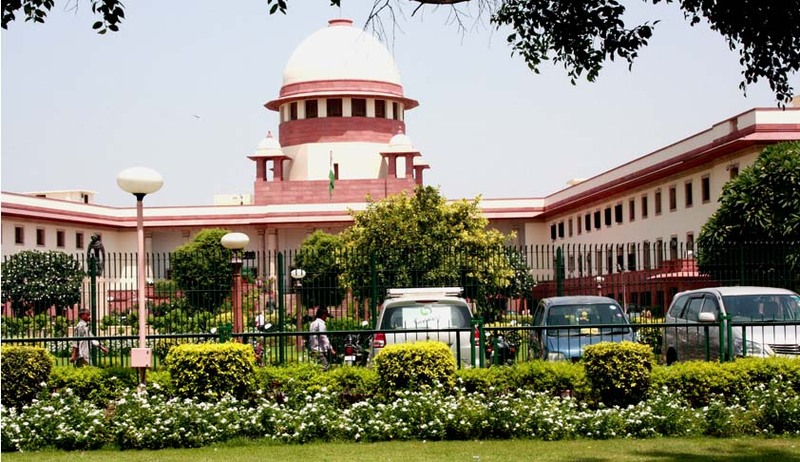 The Supreme Court bench of Chief Justice P Sathasivam and Justice Ranjan Gogoi took suomotu cognizance of a media report of an awful incident in which the right hands of two migrant laborers from Odisha were chopped off by a contractor from Andhra Pradesh in December last year, and issued notice to the chief secretaries of Odisha and Andhra Pradesh. As per reports of The Asian Human Rights Commission, on the night of 15 December, 2013, hands of two laborers, Nilambar Dhangda Majhi and Gialu Nial, have allegedly been chopped-off by middlemen. The incident came to light on the morning of 16 December 2013 when the laborers, travelling by bus, reached Bhawanipatna, around 40 km from Belpara. The police was informed by the laborers that along with 10 other laborers of Nuagaon village, Jaypatna block, they had taken an advance of Rupees 10,000 INR each from local middlemen named Bimal Rout and ParsuNaik, to help them get employment in the brick kilns of Raipur in Chhattisgarh. Touts use this standard modus operandi of paying such advance loans in order to lure poor villagers into becoming bonded labor. There is no option left with the poor laborers in the Kalahandi-Bolangir-Koraput (KBK) area, where distress immigration is common, and thus they fall prey to these touts. According to The Asian Human Rights Commission, studies have shown that besides landless laborers it is also small and marginal farmers who are being forced into seasonal distress migration because of their incompetence to repay loans. The state has been able to do very little in controlling this menace and it has acknowledged the same as well, with government welfare schemes like Mahtama Gandhi Rural Employment Guarantee Act failing to prevent the crisis. The demand of the laborers that they would not be made to work in the deep interiors of the Chhattisgarh state and that they would be employed somewhere near the state capital of Raipur was accepted by the touts. However, on 30 November 2013, when the touts negotiated 12 of the villagers, they realized that they were being taken not to Raipur and to some place else. 10 of the villagers realizing this, managed to escape, but unfortunately the two that failed to run away were taken to the home of the main middleman Parme Rout in Kanta Mal of Khariar block in neighboring Nuapada district, where he and his men kept the two men in illegal confinement and tortured them brutally and demanded that the men return 200,000 rupees which was the total advance supposedly taken by the whole group. The wife of Nilambar Majhi intimated the police of the threatening ransom calls and even lodged a police complaint in the Jaypatna police station on 13 December. The family also approached the Superintendent of Police of Kalahandi about the abduction and threats. The police, however, allegedly considered the complaints but they took no action on the same. Parme Rout who was irritated at the police complaint, allegedly took the two to a deserted place near Belpara village in Borda police station area of Kalahandi district and chopped the hands of NilambarMajhi and GialuNial, telling them that they would never be able to work again, and left them to die. Fortunately, the local villagers noticed the wounded men, who sent them to Bhawani patna hospital for medical help in a bus. The police, however, initially did not register a First Information Statement in the case, contending that the crime was committed under the jurisdiction of a different police station. After the gruesome incident, the State Government announced compensation of Rupees 4 lakh each for the two bonded laborers. Chief Minister Naveen Patnaik even expressed his shock over the incident, stating that the State Government will bear the medical expenses of the two bonded laborers who were undergoing treatment. An ex gratia was announced by the Labor and Employment Minister Bijayshree Routray who said, the relevant labor laws would soon be amended by the government in order to provide greater protection to migrant laborers and restrict truth less labor contractors. Also, the National Human Rights Commission from the State Government sought a detailed report on the incident.